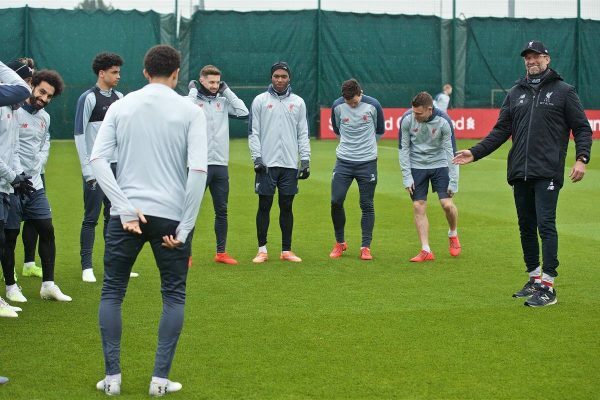 Jurgen Klopp oversaw Liverpool’s final training session at Melwood before the squad fly to Portugal to take on Porto in the Champions League on Wednesday. 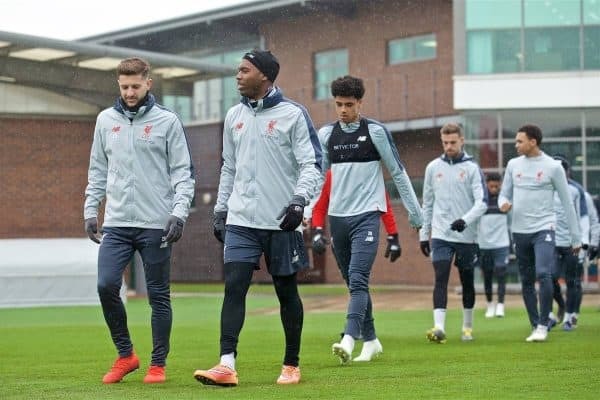 The Reds put their Premier League title push to one side again this week as they look to ensure they place in the semi-finals of the Champions League. 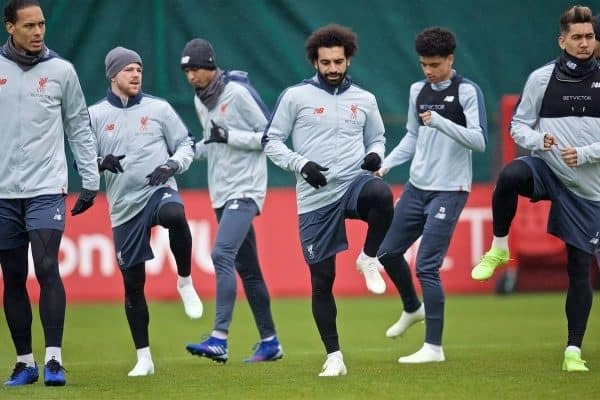 Having secured a 2-0 victory over Porto last week at Anfield, avoiding a costly away goal for Sergio Conceicao’s side, they can now take confidence into the second leg. 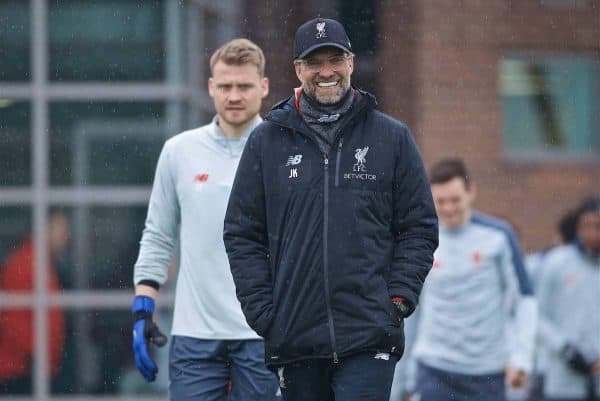 And fortunately, following another tough 2-0 win in Sunday’s clash with Chelsea, Liverpool have avoided any major injuries, though Dejan Lovren missed training. 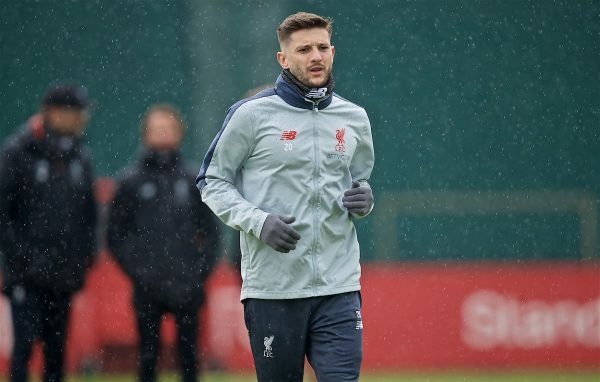 Adam Lallana was back, however, after missing the past three games through injury, and could be considered for a role either against Porto or at Cardiff on Sunday. 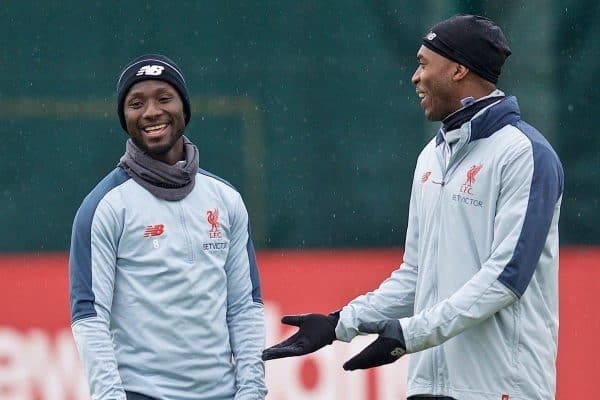 The cameras caught a popular partnership from pre-season as Naby Keita and Daniel Sturridge shared a joke, with the Guinean hopeful of retaining his place at the Estadio do Dragao. 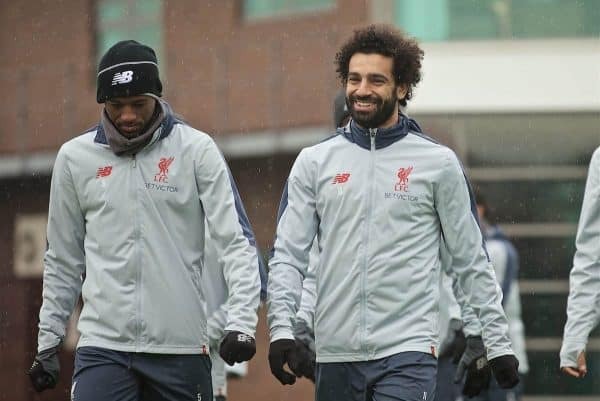 Mohamed Salah was all smiles after his Goal of the Season contender against Chelsea, and will no doubt be hungry for more on Wednesday. 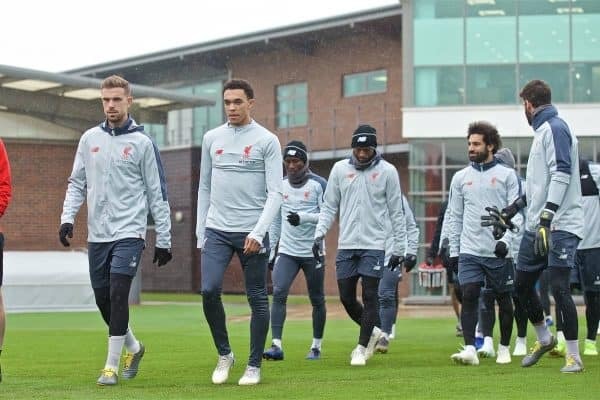 Klopp called upon a 22-man squad at Melwood, with youngster Ki-Jana Hoever fleshing out the ranks and Rafa Camacho perhaps conspicuous in his absence following his criticism of the coaching staff on Instagram on Monday. 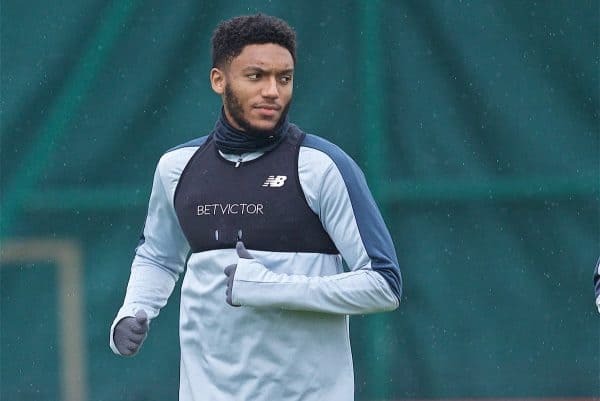 Joe Gomez joined Hoever in defence during the U23s’ 6-0 thrashing of Leicester at the weekend, and unlike Alex Oxlade-Chamberlain and Rhian Brewster followed this up with a place in the training squad. 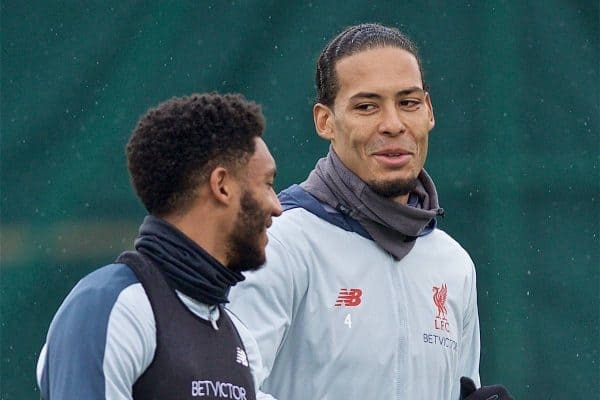 He was pictured with Virgil van Dijk at Melwood, no doubt sparking anticipation for their reunion at the heart of the defence. 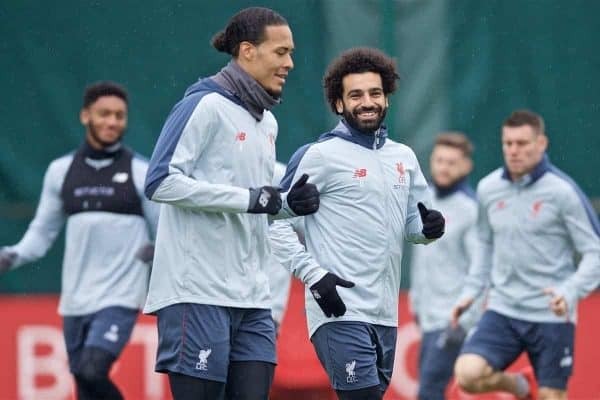 Spirits are high on Merseyside, with Liverpool on a seven-game winning streak, top of the league with four games to play and with a place in the last four of the Champions League in sight. Klopp will hold his press conference in Porto at 7pm on Tuesday (BST).